Same here! I found three in my backyard! Congrats on finding a piece of history. This site is intended for educational purposes only. Since these bottles are historic artifacts, I don’t consider their monetary value. For a better estimate of their current going price try eBay. I came across an old wood chair with a label under the seat that reads “From Lambert Pharmacal Company, St. Louis MO” with something written in pen that I can not make out. Does anyone know if office furniture from this company holds any value? Perhaps it was sold off at some point? What happened to the Lambert company? ; I notice it’s now made by Johnson and Johnson. 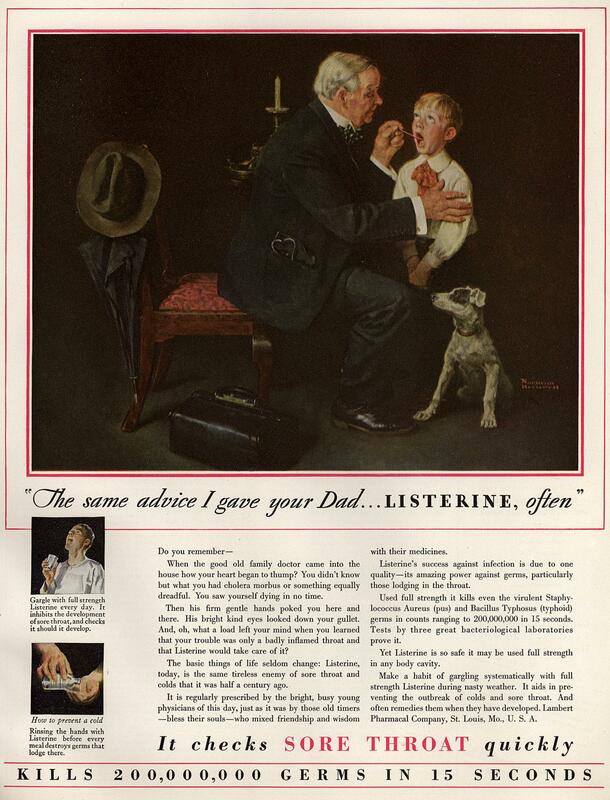 In the 60s in the UK, we had a bottle of the antiseptic, and it claimed it was effective against Anthrax. 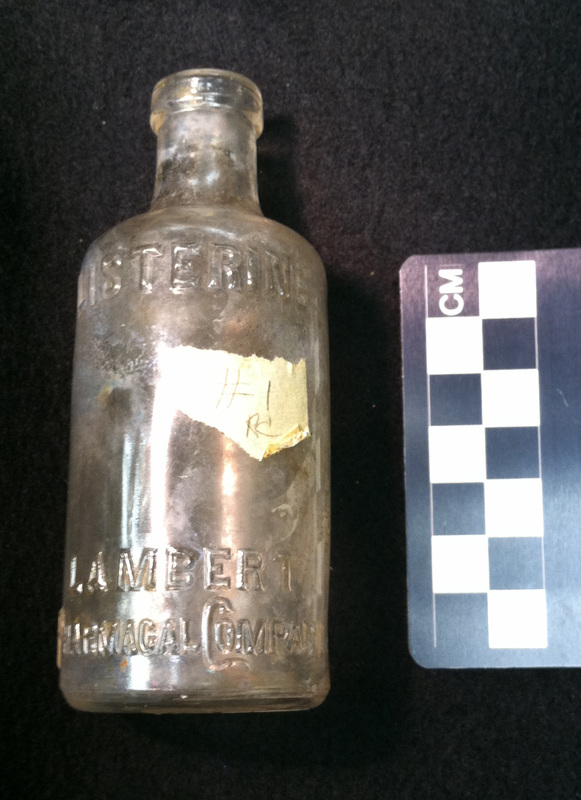 I have a small Listerine bottle that’s embossed LAMBERT PHARMCAL COMPANY, whereas every image I’ve seen of others says LAMBERT PHARMACAL COMPANY. Is this a misprint, or does the different spelling signify something?